Bopup Communication Server is a secure messaging suite designed to provide efficient and private communication over networks of any size. The server meets most of the essential business needs, such as centralized management, the Active Directory (LDAP) support, message and file transfer logging. It can be easily deployed over the business infrastructure to unite the entire company's offices and other locations into one internal IM workspace with control over messaging groups, user permissions to view others and send messages and files, message and transfer archive files with printing support. Since the server stores and delivers offline messages and files, users never lose information they're supposed to receive. Messaging is encrypted with powerful algorithms so private and group conversations are safe and protected even if information is sent through the Internet. Users can send messages with formatted text, links and graphic emoticons (smileys), organize their private Contact Lists, access their contacts from any workplace and see who's online and available for communication. The client software might be configured on the server to run in the Verification Mode, which means that the client pops up every time a brand new message is received and keeps the window on top until the user validates the message. Supported IM clients include stand alone applications for Windows OS and Android platform. To crown it all, Bopup Communication Server is fast to install and simple to use. It's a great and flexible user interface and comes with a built-in messaging system for scheduled and planned user notifications including the File Distribution system that offers a managed distribution of files to users. Client instant messengers can be easily installed and distributed via Group Policies with the support of pre-installed settings. The server also supports custom instant messengers and applications that are assembled using IM Client SDK (Software Development Kit) which provides elements, libraries and programmer documentation. Download and install Bopup Communication Server safely and without concerns. Fixed issues with the server console when it runs under non-administrator account. Fixed using BCSCmd.exe command line tool under non-administrator account. Fixed and improved LDAP Integration function that could not find and import user account when a starting OU is specified to look accounts in. What do you think about Bopup Communication Server? Download.hr periodically updates software information of Bopup Communication Server from the software publisher (B Labs), but some information may be slightly out-of-date or incorrect. Bopup Communication Server version 5.4.2 for Windows XP/Vista/7 was listed on Download.hr on 15.04.2019 and it is marked as Shareware. All software products that you can find on Download.hr, including Bopup Communication Server, are either free, freeware, shareware, full version, trial, demo or open-source. You can't download any crack or serial number for Bopup Communication Server on Download.hr. Every software that you are able to download on our site is freely downloadable and 100% legal. There is no crack, serial number, keygen, hack or activation key for Bopup Communication Server present here nor we support any illegal way of software activation. If you like software product please consider supporting the author and buying product. If you can not afford to buy product consider the use of alternative free products. Is it safe to download and install Bopup Communication Server? Bopup Communication Server was checked for possible viruses by various leading antivirus software products and it is proven to be 100% clean and safe. Although, no malware, spyware or other malicious threats was found we strongly advise you to check product again before installing it on your PC. Please note that laws concerning the use of Bopup Communication Server may vary from country to country. Please be sure that you are using Bopup Communication Server in accordance with the law in your country. How to uninstall Bopup Communication Server? How do I uninstall Bopup Communication Server in Windows Vista / Windows 7 / Windows 8 / Windows 10 OS? Make sure the "Bopup Communication Server" is highlighted and then make right click, and select Uninstall/Change. 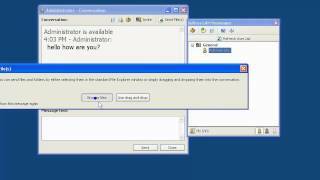 How do I uninstall Bopup Communication Server in Windows XP? Make sure the "Bopup Communication Server" is highlighted, then click "Remove/Uninstall." How do I uninstall Bopup Communication Server in Windows 95, 98, Me, NT, 2000? 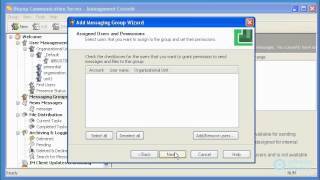 Select "Bopup Communication Server" and right click, then select Uninstall/Change.